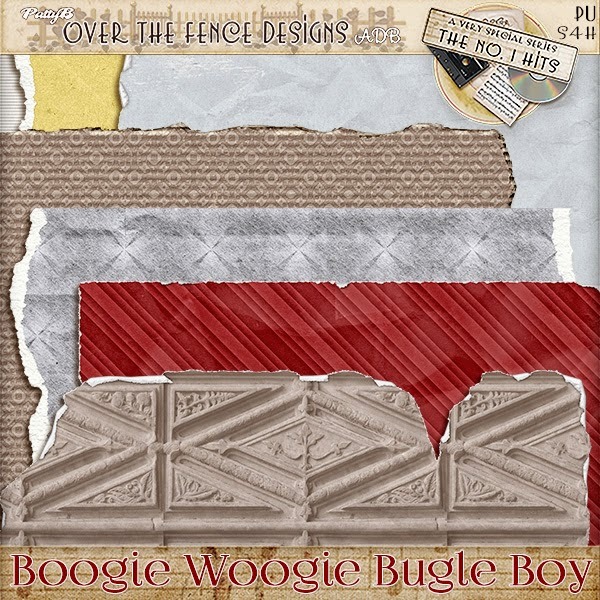 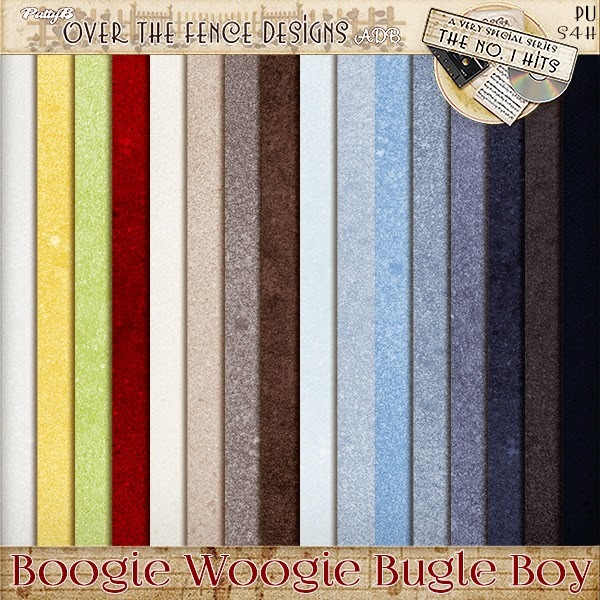 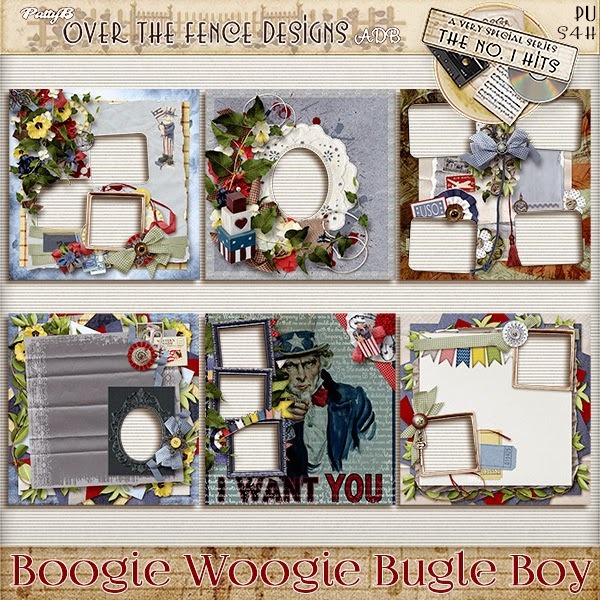 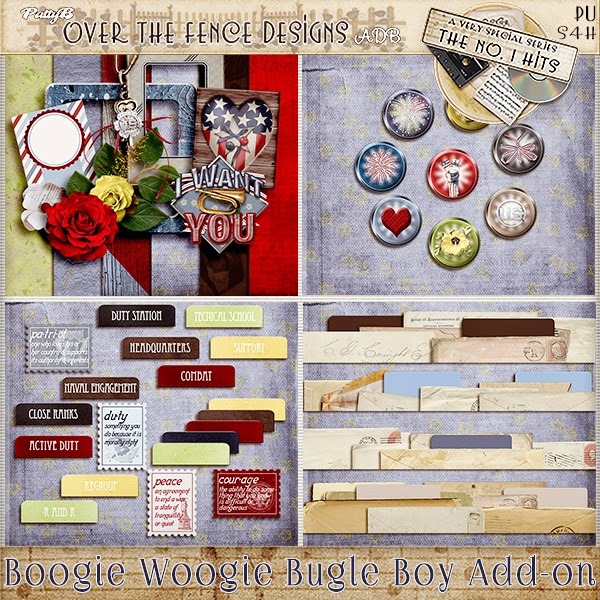 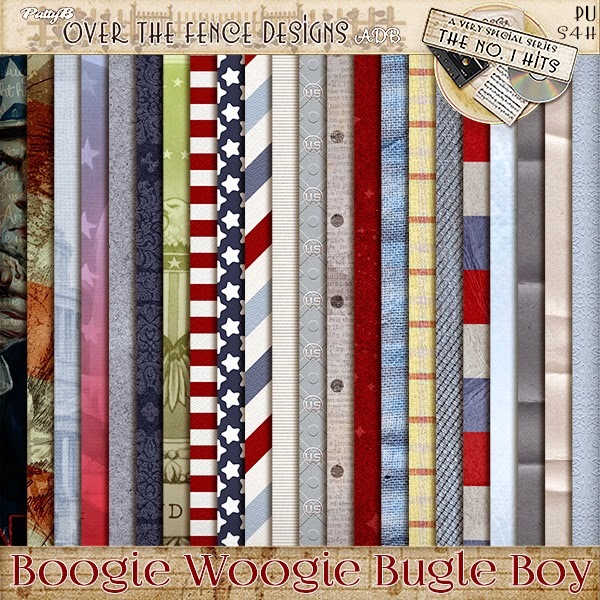 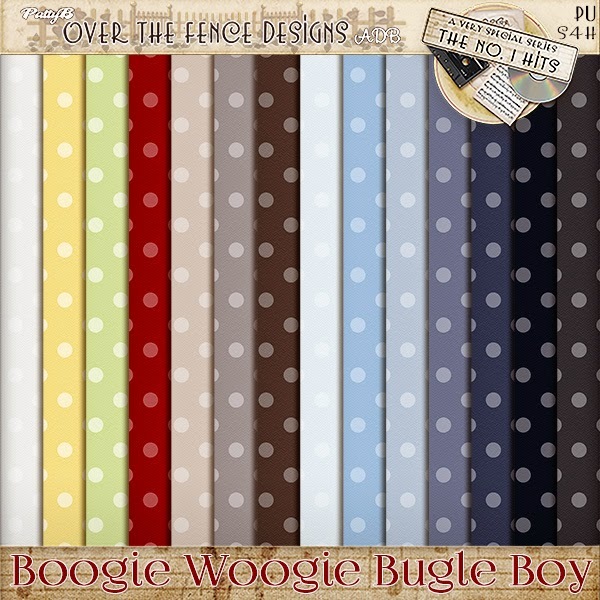 has released more Boogie Woogie goodness!! 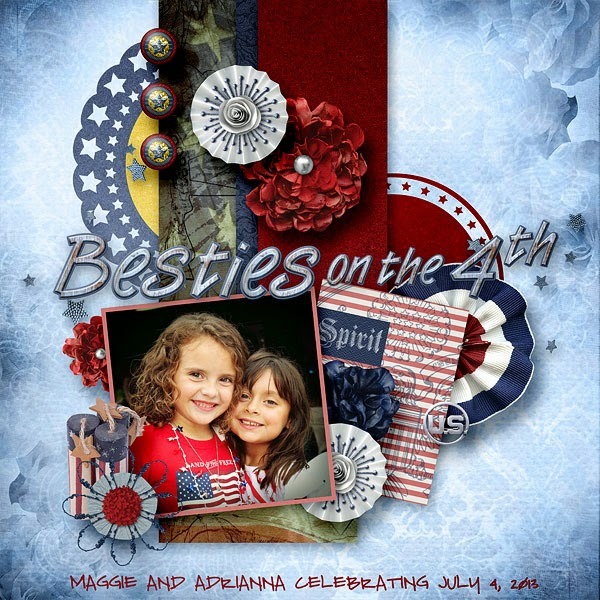 Today June 26, 2014 Only! 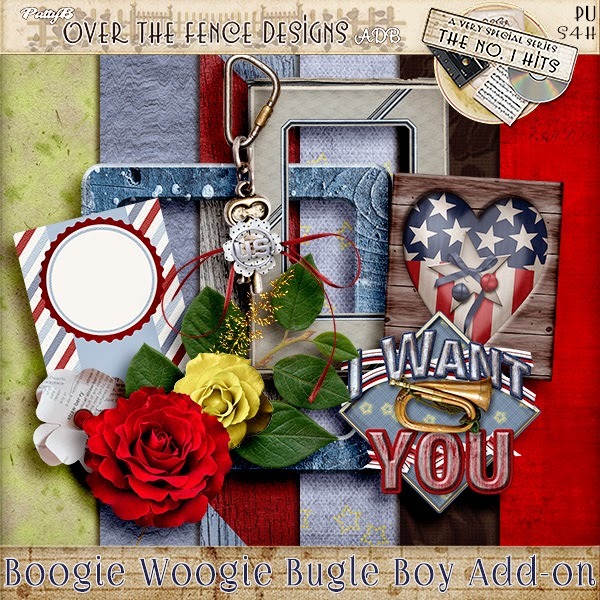 about Over the Fence Designs!! 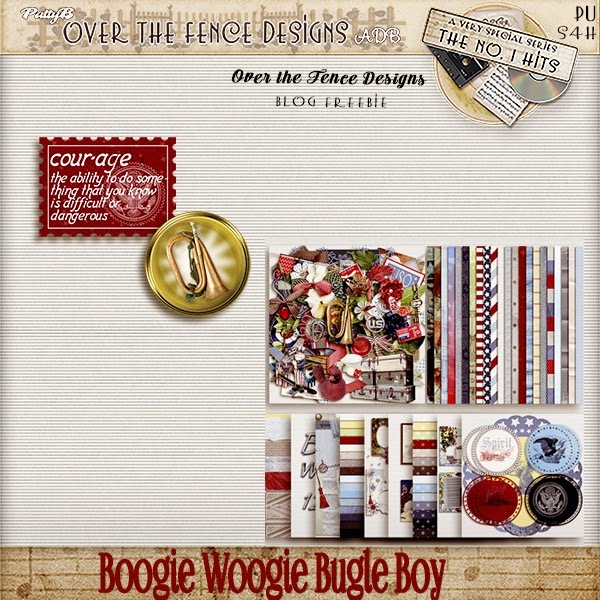 Boogie Woogie Bugle Boy! 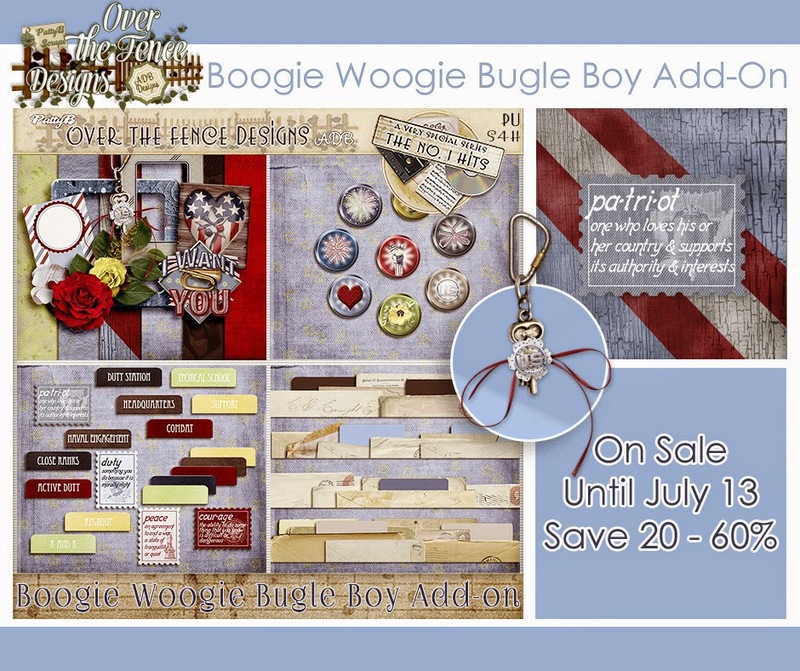 And a FREEBIE!! 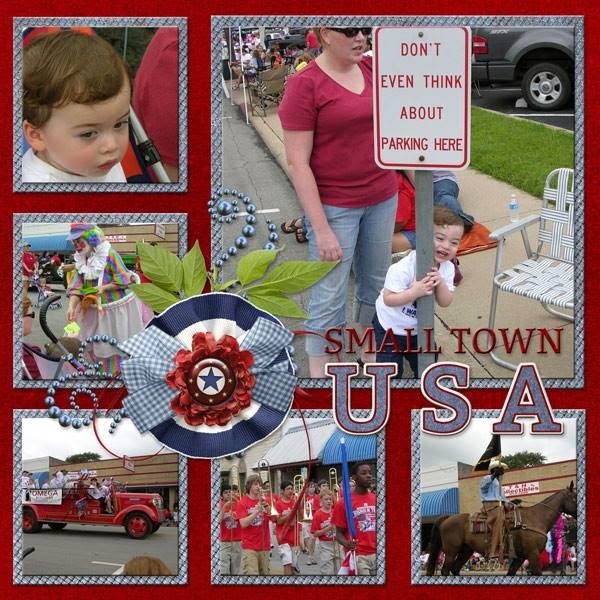 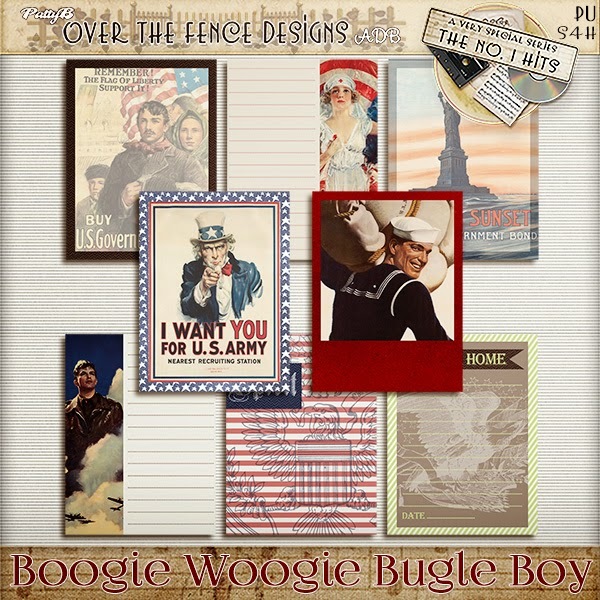 Boogie Woogie Bugle Boy of Company B is one of those mega hits that everyone recognizes. 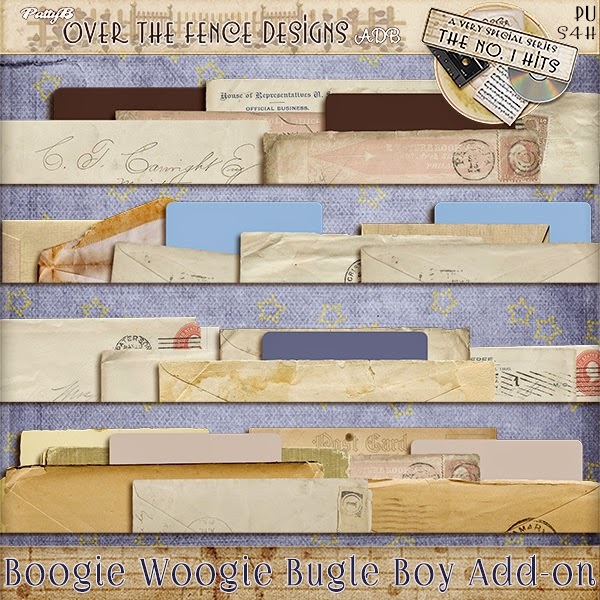 Recorded and introduced to the public by the Andrews Sisters in 1941 (Abbott & Costello film: Buck Privates), the song is number 6 on the list of Songs of the Century, and was nominated for an academy award for Best Song. 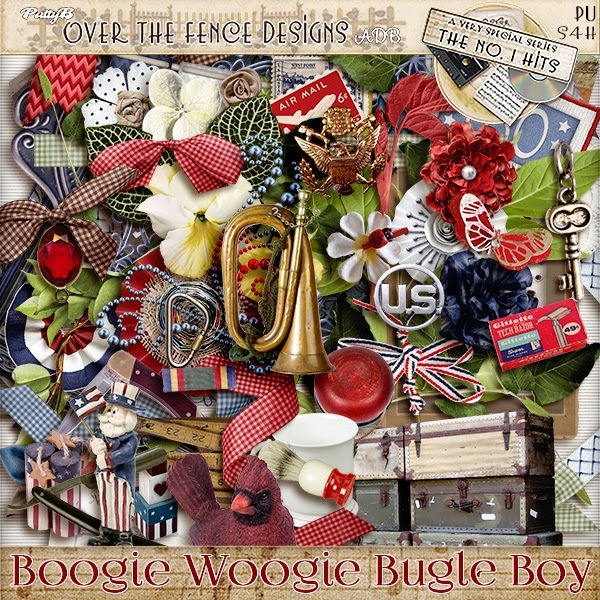 The song, written by Don Raye and Hughie Prince, has been recorded by Bette Midler, En Vogue, Backini, Puppini Sisters, Jerry Lawson and Talk of the Town. 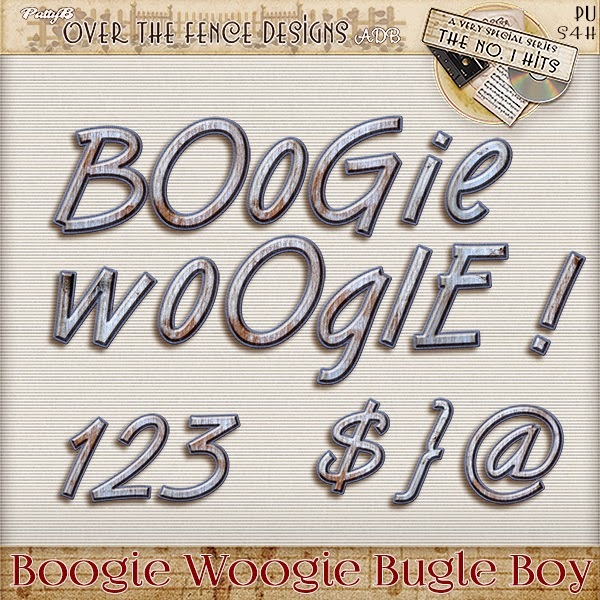 It has been performed by numerous artists and always gets your feet a tappin'. 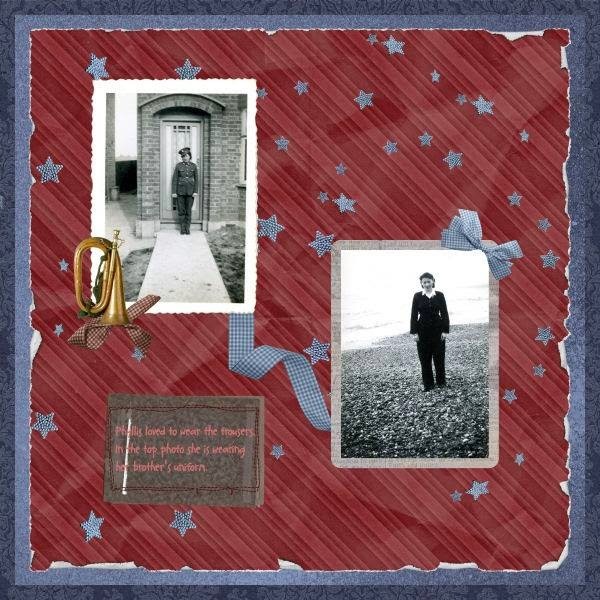 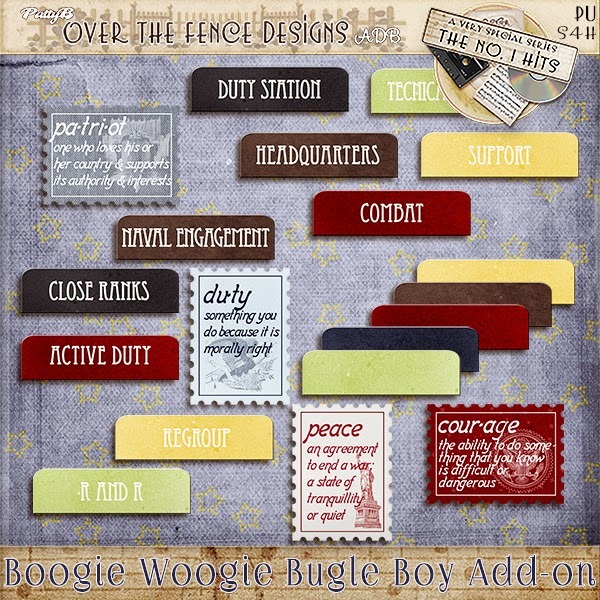 PattyB and Diane bring you their massive collection: Boogie Woogie Bugle Boy for scrapping those pictures of the military men and women in your lives, past and present. 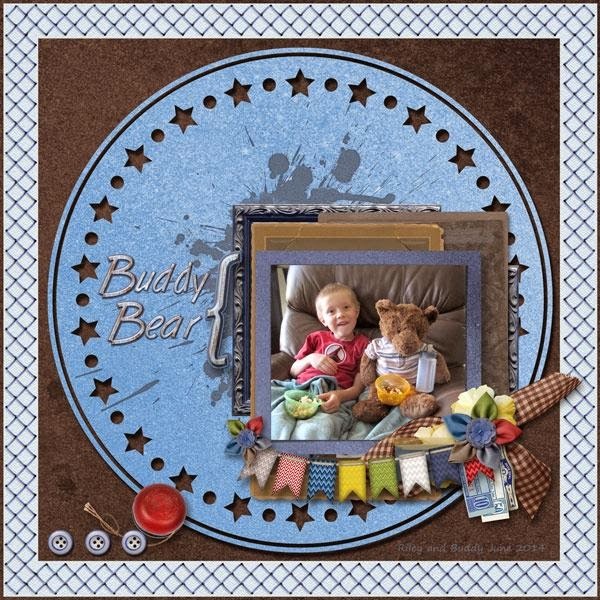 It is a fun kit of primarily blues with lots of accents in green, yellow, red, brown and white. 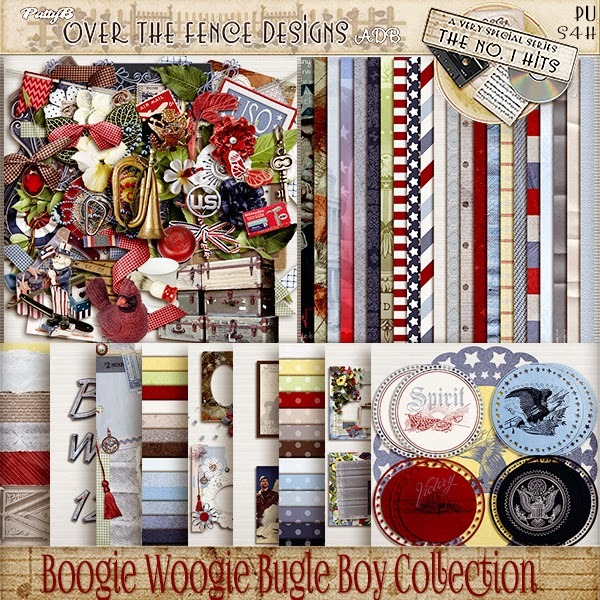 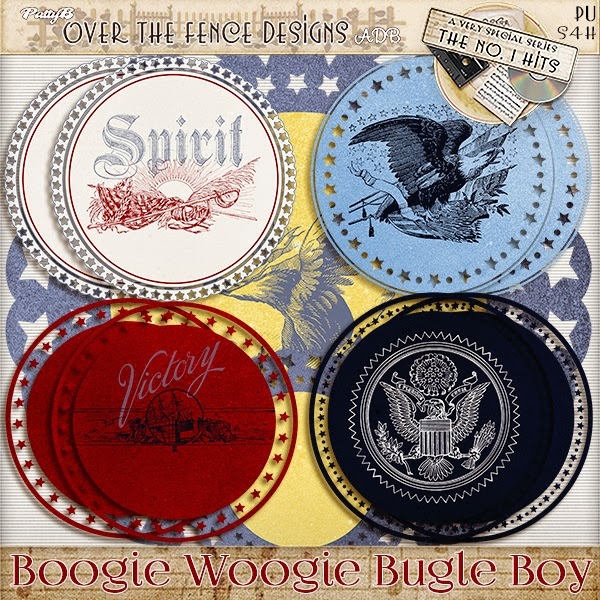 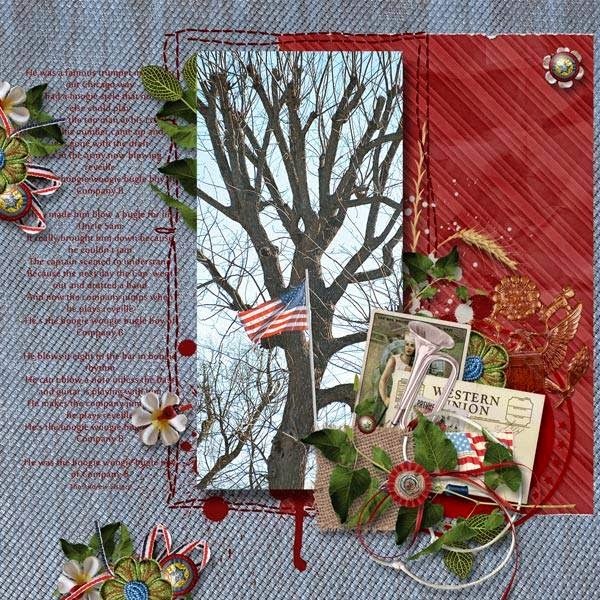 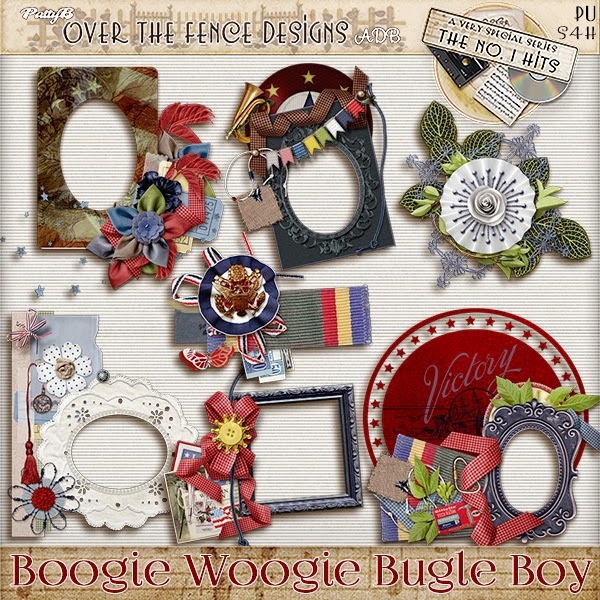 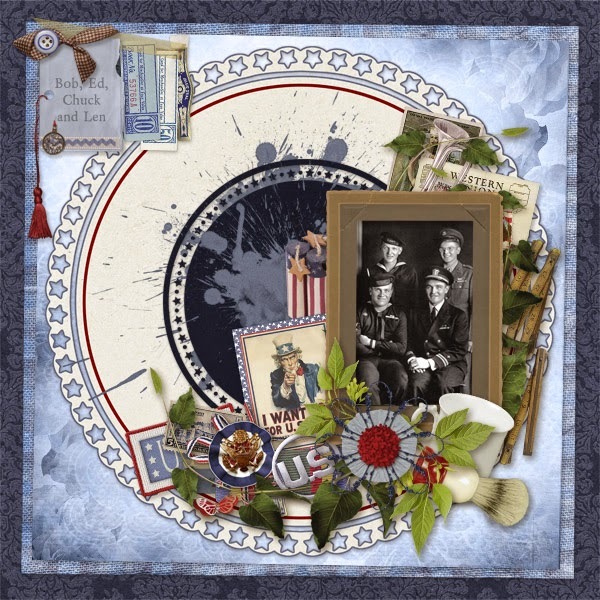 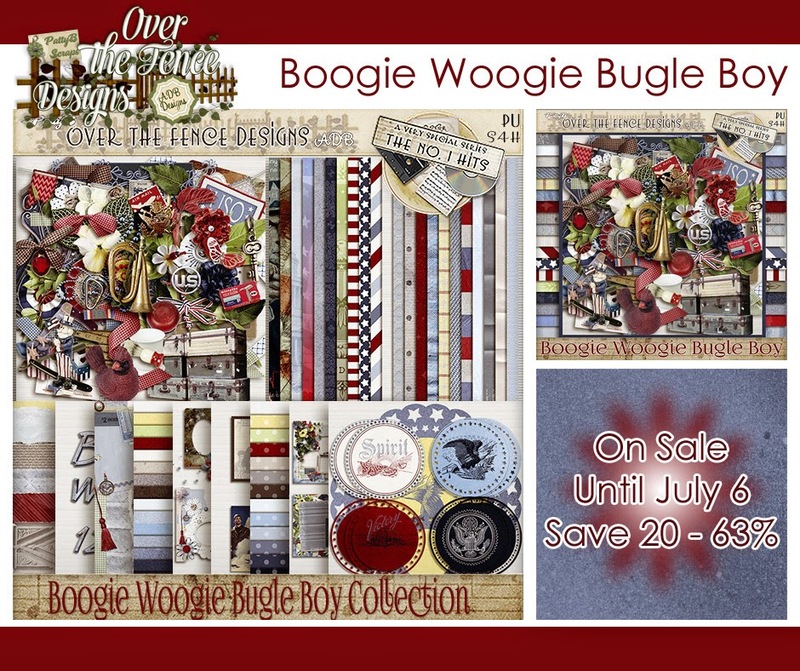 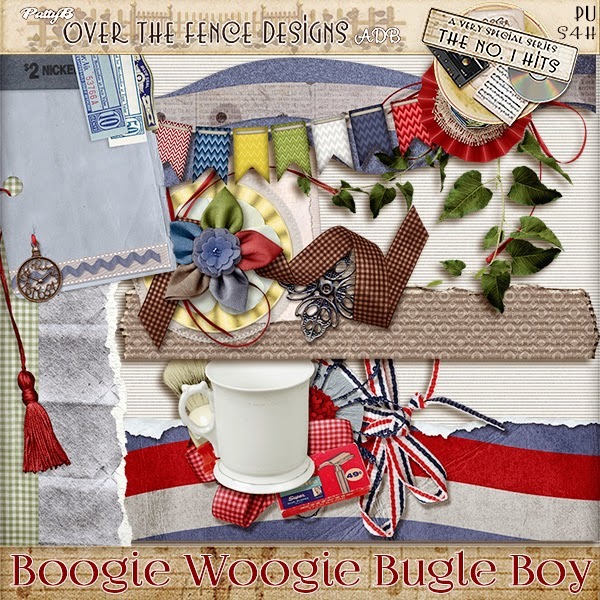 Purchase of the Boogie Woogie Bugle Boy Collection is your best value, however all of the products are available separately. 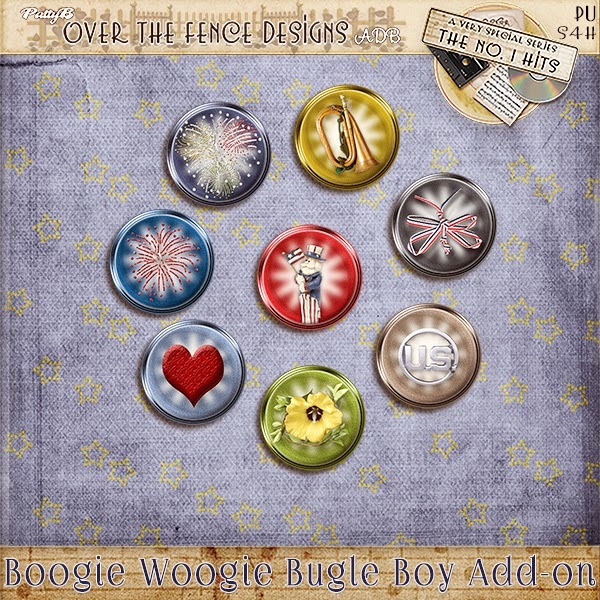 And now, for some boogie woogie inspiration! 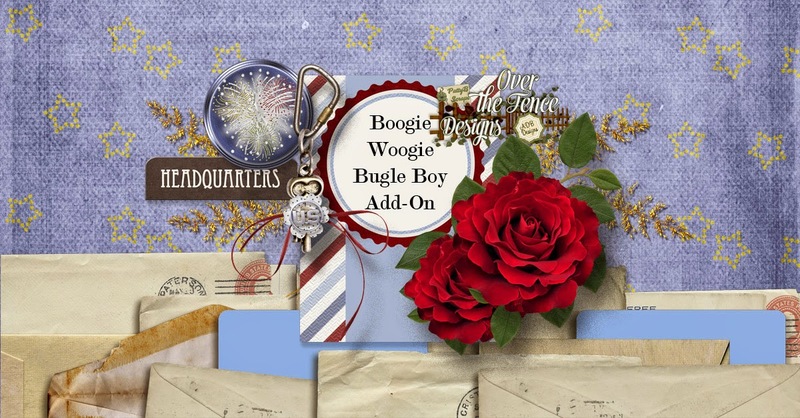 Be sure to collect all of the gifts!